Star Wars is the franchise I have known for the least amount of time - soon to be ten years at the end of this year - but it has had the most impact on me. Introduced through Star Wars Battlefront II when a friend and I played it, I have found great joy in the series ever since. The books, films, and TV Series, as well as various LEGO sets have all given me great joy. The future of Star Wars does seem good. From 2013 with the soft reboot, everything since - while good - has felt a bit safe. The Force Awakens mirrored A New Hope with its main plot points, inserting a lot of new things in with that. The comics had recently started up a series telling the events after A New Hope before the reboot. After the reboot, a new series was started to overwrite those events. However, there have been things that have been different and trying new things. The novels, in an attempt to fill in the now empty gap between Return of the Jedi and The Force Awakens, have given us a series of books looking at how the events of The Force Awakens were built up. The formation of both First Order and New Republic have been an interesting point of these novels. Also is the exploration of how this period has affected those who aren't majorly impacted by the events. Of course, there is also a whole host of fleshing out with both the period between Revenge of the Sith and A New Hope, as well as A New Hope and Empire Strikes Back. Star Wars Rebels, the latest TV Series, focuses on how the Rebellion was first formed, and various other comics and books fill in some of the gaps the series doesn't hit. Since the reboot, there has been only one major game release. Battlefront EA. It is a good game, and will be expanded upon over the year, but projects shelved when LucasArts was disbanded from development have been the talking point since it first happened. As I covered at least once, new information on those games have been getting out into public view, and talk of what said projects could have become has been circulating a lot. As with the other two, I'm starting on the games, even if the games aren't the most important part of the franchise. 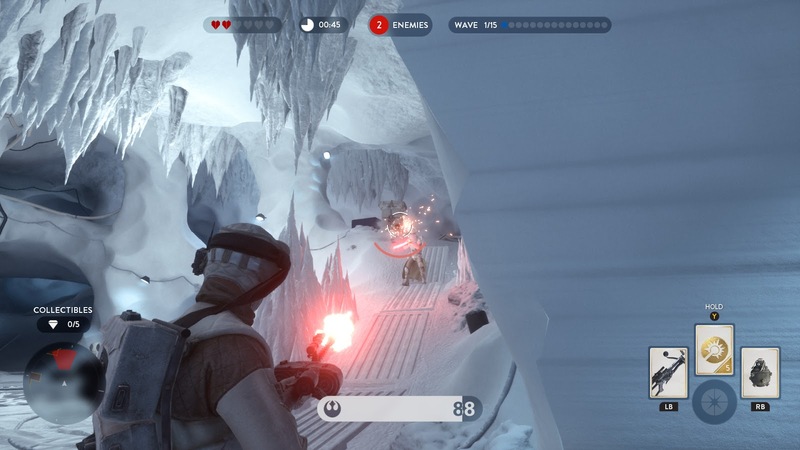 Yes, we've had Battlefront. It should be obvious that a second will be coming. What would this second one be like, though? It is difficult to find that right balance between casual jump in play and the more technical structure of other shooters. EA went about it the wrong way for the first one. Keep the customisation - of both character and weapon sets - but allow a more structured set of weapon types. Primary, secondary, explosives, special, power-up. Roughly the same as what we have already, but ordered and not all over the place. If we look at what Elite Squadron had in it's arsenal, and what Battlefront EA has with its base weapons, star cards, and power-up icons, they mostly match up. There is a whole lot of what I would like from the new Battlefront, but that would take a massive paragraph and more to say. I will leave that for another time and move onto other things though, as EA might have more interesting things coming. From a lot of rumours doing the rounds, EA's Visceral studio have been working on an open world game. Said to be an RPG, we don't really have much more than that in terms of near fact. I can picture something like 1313 - the game that surfaced at E3 2013 before the Disney takeover - but on a grander scale. It seems such a shame not to use that, as it looked like it was good. There wasn't much to go off, but what was shown was strong. Opening that up to multiple planets, like the old Clone Wars and Bounty Hunter games, but without the linear mission structure and the ability to jump to any of the planets at will [unless the story calls for it otherwise]. What might be an interesting idea is if we had more than one character to use. Each one different, they could perhaps start on different planets and their stories merge before taking down the enemy. Each one could also have their own starfighter or other space-faring vehicle. A necessity really, if space travel is involved, and that could also pave the way for some interesting space battles. As for what else is being cooked up at EA, I'd find it funny if they made a racing game with the Star Wars name. We've had pod racing, so surely there are other forms of racing. It would be something if, with all those bragging rights over having the fastest ship in the galaxy, there was no ship racing tournament to see who really did have the fastest. A combination of atmospheric and space races, even a few having the racers go from one to the other, it would expand the galaxy of far, far away's entertainment events. Then there's the fact you could expand the concept even further to include pod racing, and even other ground vehicle races. Speeder bike races would be particularly terrifying. LEGO Star Wars is finally getting a new game. While some might have thought Rebels, or even more seasons of The Clone Wars, TT Games have gone with what possibly makes more sense - at least from a marketing standpoint. The Force Awakens has been a massive success, and since first being revealed had a lot of positive talk about it. After being the massive success it was, and the fact we won't get any other related game, this singular episode title plays off the success. Of course, it's not just missions from the film. It was confirmed we'd get missions relating to before the film from the outset, and the latest gameplay trailer seemed to confirm we'd be getting playable events from the Force Awakens short series - The Resistance Rises. It's also been said there are five hub worlds and new gameplay mechanics that expand the LEGO gameplay formula further. Of course, this does raise the question of what happens when the other films are released. Will there be a game for each episode, or is this it until Episode 9 releases for the sequel trilogy game? By the time of Episode 8, there will be the Rouge One standalone film, as well as more from the Rebels TV series released. This would greatly expand the content for such a LEGO Star Wars game focusing on mainly a single film. I want to touch upon one more thing before I move on to the TV/film segment. That is, of course, the Darth Maul game Red Fly Studio were in the process of making. Darth Maul himself has been expanded as a character since his death in The Phantom Menace. The Clone Wars had him resurrected and wanting to exact revenge on those he considered enemies. He no longer has his eyes on Obi-Wan, and his full attention on Sidious - especially after the events of both Mandalore and Son of Dathomir. With his current appearance being hyped in Rebels, it has been quite some time we last saw him, and while the Rebels season finale is sure to give some information on what he has been doing, the game could expand on that. Especially as history with other characters could be explored. The Force Unleashed gameplay was good, and with the current footage of the Darth Maul game we have, it could be expanded on further. With current game engines being more advanced than those of roughly seven years ago, this would be an interesting idea to play around with. I feel that Rebels has been doing well with what it has been doing. With the season 2 finale giving us a lot of interesting things and opening up further stories - season 3 needs to go further with them. There have been rumours of a certain blue-skinned admiral appearing in the coming season, and with some concept of Kallus originally having blue skin, it does seem that Thrawn will be around soon. Others wish for Mara Jade, but that would require some working out. I'm sure though - if she was introduced to the canon - the Story Group will have planned her story well. Rebels needs the crew to have damage done to them. Kanan has been blinded in the season 2 finale, and Ezra did have the scrape with a lightsaber in the season 1 finale, but aside from a few knocks and scrapes, anyone who isn't a Jedi doesn't seem to suffer. In terms of emotions - sure. We had Zeb come to terms with his past, and Hera make up with her father, but hardly anything serious seems to happen to the non Force-wielders. That's all part of the story of course, but after the season 2 finale - people are going to want the series to keep at that level. As I've said plenty of times before - once a series goes to a darker route, a group of fans will always want it to stay there. The atmosphere and tone of the season 2 finale was brilliant, but as a finale it's expected. For any episode that's not though, it doesn't need to be. Many of the light-hearted episodes have managed to give some danger to overcome, just like in the original trilogy of films. For season 3, it has already been said to expect more of Sabine's history to be explored. With Maul now in the picture, it seems like more Mandalorian culture will be explored - possibly pitting the two characters together. Sabine might or might not know of the history of the battles that happened over Death Watch and the planet. She might not even care. She does seem to have some animosity for the Death Watch, and if her mother was part of the group those feelings might run deeper. The base the rebels have seems safe enough, but there's always the chance someone might tip the Empire off on their location. Ketsu, friend of Sabine, suggested a planet which Chopper and AP-5 found was a trap, but there is no way of knowing if Ketsu is playing both sides. If she is, it would explore the friendship between her and Sabine further. There is also the stories of the growing rebellion to tell. It's hard to tell whether they will or not, but now that the first phase of the reboot is complete, there should be no worries at finally releasing Detours. A comedy following the likes of Robot Chicken and Family Guy, it makes fun of itself and its subjects. Focused entirely on Star Wars material, the trailers and extracts shown were very fun to watch. The creators have said it will come at some point, with already completed episodes just sitting around waiting. The fact is - when? And how? This year or next could be likely candidates. Disney XD might not want two Star Wars shows running at the same time, and while there are other Disney channels, it might be that we get a direct to digital or DVD release. This year also seems more likely, as Rogue One isn't considered as big as Episodes 7 or 8, and Rebels has been running a while now and is on break between seasons. 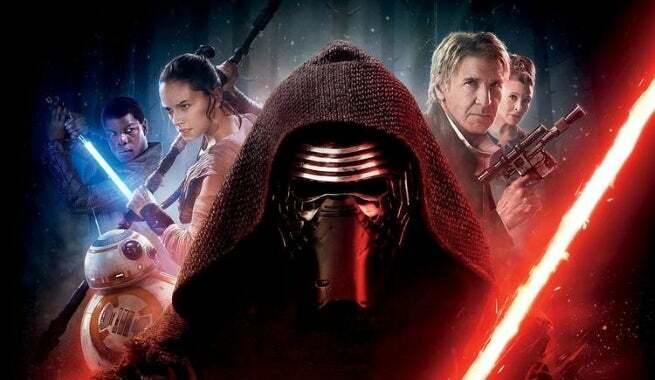 The Force Awakens did marvelously at the box office and its home media release is not far off. So next up is Rogue One - first in the anthology films - that tells the story of the rebels stealing the plans for the Death Star. Retold so many times in the old EU that it seemed that everyone at one point held the plans, it seems that the Story Group want to give the definitive answer. And it sounds like it is doing so by crafting a real environment and casting the world into a grey area not seen in the black and white world of the original trilogy. The opening credits say that this is the rebellion's first major victory, but what does it cost them to gain this victory? Rogue One is surely going to show us. In 2017 comes Episode 8. Continuing from The Force Awakens, there is so little that we know about it. From production photos released, as well as confirmed filming at Skellig Michael, it shows that the film both continues directly from Force Awakens, and that some previous planets might return. Of course, most thought that Jakku was Tatooine when we first saw it, so it's possible that similarities between this and a certain other world might not come true either. It has been said that Episode 8 is darker than Force Awakens, so what comes of that we will have to see. I'd like to feel that we get to see more dark side training, possibly comparing it to the light side during the film. There is also what the other areas of the Resistance are up to. The First Order knows where the Resistance base is, and while they might be reeling in the loss of Starkiller Base, it won't take long to regroup and hit the base hard. And the Resistance is on its own - the New Republic being victims of Starkiller Base's weapons. As much as it sounds like more playing it safe, it feels the most logical step. The Resistance evacuating the compromised base while Force-users train to better themselves elsewhere. What happens after that can be completely new. It wouldn't make sense for a ship to go off on its own, unless it was Leia heading to her mother's home-world for something or other. It's not what I'd go for, but if it can be executed well, I'd be for it. Of course, no matter how you look at it, the Resistance isn't going to be able to line up and jump one by one. They need to fan out. Hide. Come back together at a new location. More than likely forced to a roaming fleet again, or else holed up on some world that would likely betray them if they knew the Resistance was hidden there. And what if the First Order knew about this base? How would they react? Then of course, a new battleground is formed, stakes are raised, and Force-users come onto the scene. But will Luke see sense to return? I'm not going to say anything, as I'm still undecided myself on how that should play out. Under Marvel, the comics of Star Wars have been growing in number, focusing on numerous characters. As pictured above, the Obi-Wan and Anakin five part mini-series focuses on the relationship of the two as they take on a mission on Carnelion IV. 2015 was rife with character focused comics, such as Lando and Chewbacca, and that continues into this year with C-3PO and Poe Dameron. As well as others. Of course, we can't forget about both the Darth Vader series and Kanan series. Both have been continuous in terms of how well they tell their stories, and each ties in with another part of Star Wars media. Kanan tells the story of Spectre 1 of the Ghost crew from Star Wars Rebels - that being Kanan - from the point of just before Order 66 came to be. And Darth Vader ties in nicely with the main series comic, giving a look at Vader's own experiences throughout that period. I expect more announcements at Celebration, just like with the novels. Announced just after the season 2 finale of Rebels, a novel focused on Ahsoka will be released later in the year. This is an interesting thing to happen, as it would explore the period between Order 66 and when she first became part of the rebellion, and would be able to explore her character far more than what the TV series' can manage. There is also the second part of the Aftermath series coming this year, with the third following in 2017. The series dives into the years following the Rebel Alliance victory and the formation of the New Republic, as well as the growing dissent of the remnants of the Empire and the new formations that happen from that. The first book focused almost exclusively on new characters, with Wedge Antillies and Rae Sloane being returning characters active in the story. With Life Debt, it seems bigger characters could come into play, with the Millenium Falcon appearing on the cover. Whether it follows the characters introduced in Aftermath or gives us a new focus is yet to be seen, but if it focuses on those introduced in Aftermath, it could further expand their characters as well as give us interactions between old and new characters alike. There is a lot of published media coming out, and under the Story Group, there is very little that could happen to cause conflicts. Authors of the old novels have already started hinted at their older work, infusing the old with the new, and hinting that those old stories may have some fact within the new canon. All Star Wars media has been doing this, with designs and idea from the old canon brought into the new. As for other merchandise, while I look at the new LEGO sets, I don't notice a lot of the other stuff. I like the idea of the Hot Wheels cars that were introduced, as well as the large figures that have been advertised recently. I don't buy the stuff, but I certainly like to look at the stuff. And with Force Awakens and Rebels, there have been a lot of new characters and vehicles to add to the various figure sets. As I said at the end of the Sonic the Hedgehog post, this has probably been the longest of the three, perhaps slightly longer or shorter than the Pokémon one. However, I hope you have enjoyed reading my thoughts on these three franchises.